By Larry Gorbet. Interview & photography by Cheyenne Lee. Published in the N-News Winter 2018. Vol. 33 No. 1. I was born and grew up in Lonoke, Arkansas, a small farming community of about 4,200 people. It is very much a one stoplight town in the middle of the Delta. Tractors were part of the fabric of the community. I drove tractors and worked on trucks when I was a boy. I worked on a rice farm out of high school because that’s what most people did around here at the time, and I made extra money as a kid putting spark plugs in people’s cars and starting tractors for folks that couldn’t start them. I’ve been around them my whole life. But my real involvement with tractors started years ago when I was helping a friend who had had a heart attack and could no longer keep up with his farm. I farmed rice for two years tilling the ground and all that. 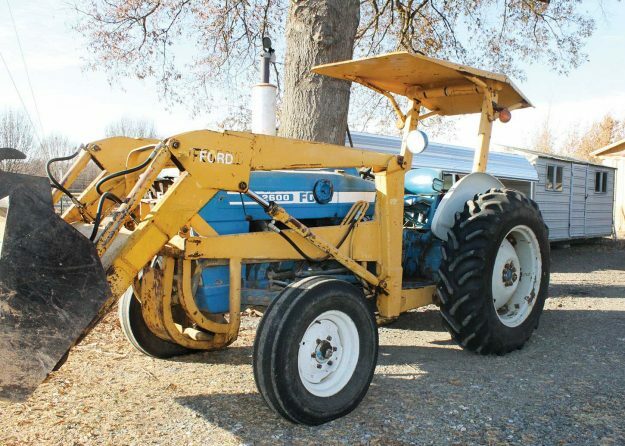 I’ve owned a Ford 801 since 1968 and I’ve used that tractor daily. I got it when I still owned the Esso gas station in town. While Lonoke was a small rural town, there was no one doing custom bush hogging work. So I started doing some custom work on the side. I was using a 9N but quickly realized I needed something a little bigger. I preferred Fords because they are more user friendly, especially for small jobs like I was doing. My 9N Ford worked great and I had no reason to believe the 801 wouldn’t be the same. They’re small and easy to handle in tight places. I kept the tractor up at the station and people would stop in and ask me to do small jobs around town like spread dirt for lots, or graves, or foundations. 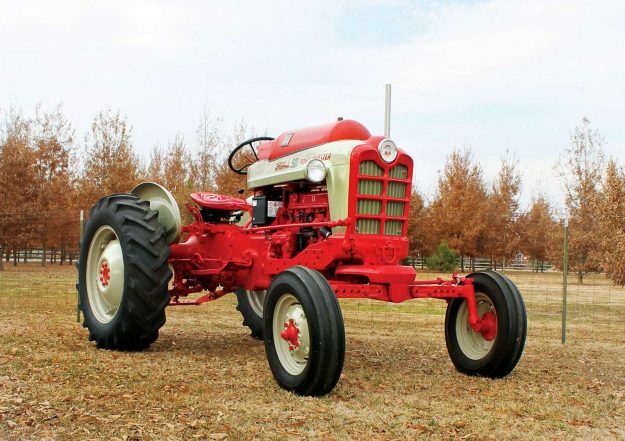 I’ve owned a lot of tractors and sold a bunch too – Fords, John Deeres, Allis Chalmers, but Fords in particular are really easy to handle and easy to use and I enjoy working with them. I bought the 801 locally from a guy in DeValls Bluff, Arkansas who was an ex-state trooper. He was getting rid of it because he wasn’t using it enough, mostly just to launch boats out onto the White River for folks during the fishing/boating season. As an aside, at about the same time I owned the Esso station in the 1970s, I got into the towing business as well because of the same ex-state trooper that I bought the 801 from. He mentioned that there was no wrecker service in town until 20 miles out. I already owned the gas station, so I bought a 1955 GMC one-ton wrecker and I started a 24-hour tow business. I ran it for 10 years and it was very successful. I still own the wrecker, as well as a lot of equipment from years and years of working and collecting. A friend told me about the 901 fifteen years ago. It was locally owned by a gardener, but I don’t know much else about the tractor’s history. Because I had been associated with farming most of my younger life, it seemed natural when I bought it and decided to restore it. When I looked at the 901, it was obvious it was a propane model. I’d never had a propane Ford, so I thought “Why not?” The propane system was in pretty rough shape. The sheet metal and especially the rear fenders were pretty rough, too. I had to change them from long brackets to shorts ones. The propane system is unique and is so much different from a standard vaporizer. Since I had never owned a propane model before, it was a bit challenging. In fact, nothing was easy on this restoration which took place over twelve years. 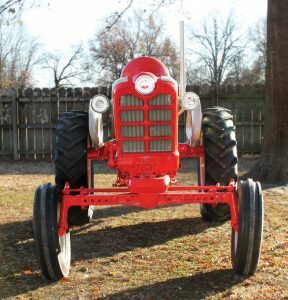 The tractor was worn pretty badly and I had no prior experience completely restoring a tractor from scratch. I had done bits and pieces on previous tractors I had owned, but nothing like a full restoration. The engine was rebuilt, as well as the steering, the hydraulic pump, and all the lift components. I have an old friend, Roy Kidder, who also has experience with tractors. He did the machine work on the engine. He repaired the head and worked on the crankshaft. I had the hydraulic pump professionally rebuilt but that’s it. I did all the reassembly. It was mostly trial and error, but having worked on tractors for so long, you pick up a thing or two on how they work and are assembled. Currently, I have a Case 930 and 1030, a John Deere 70LP, an International 444, a Ford 601 and 2600, 901 and 801. I also have a Farmall Cub, and a 1941 Farmall B, 2550 and a Kubota L210. The Ford 2600 loader tractor is a real worker. I think it is from 1976. I bought it 20 years ago out of central Arkansas. It has been very dependable with few problems. I mostly use it for loading dirt, landscape work, setting up foundations, stuff like that. Like my other experiences with Fords, this one is easy to maneuver and handles well. I don’t really use them much anymore except for the odd job here or there. I still spread dirt and gravel and such for people around town that ask, and of course, I use them for my own personal projects at home. At this point, I like to tinker a bit, but now I would consider myself more of a collector. I enjoy going to tractor shows and have been going since 1992. My favorite is the Central Arkansas Two Cylinder Club Show that I try to get to every year. 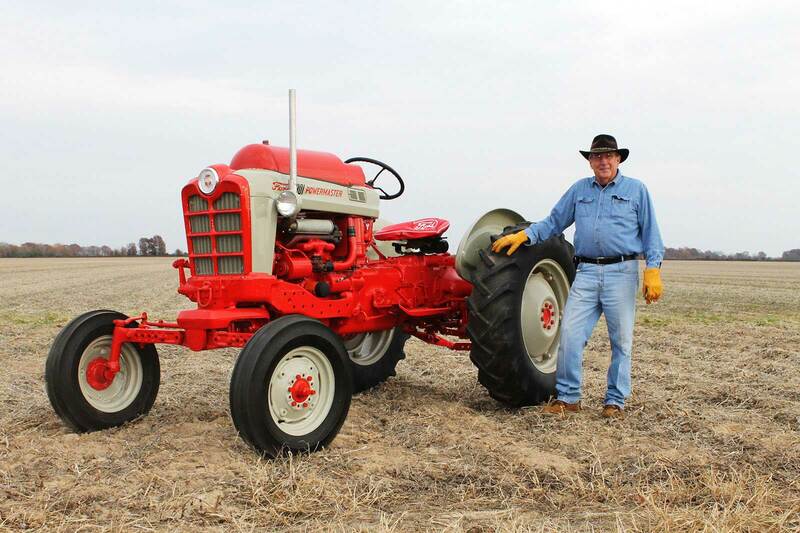 I got into them after I saw an ad and went to a show and got to liking them – there are a lot of antique tractors at the shows and I’ve met a lot of friends over the years going to them. I’ve even entered the 901, 601, and the Farmall Cub in a few tractor shows – in Scott and Hazen, Arkansas. All in all, it is fun.